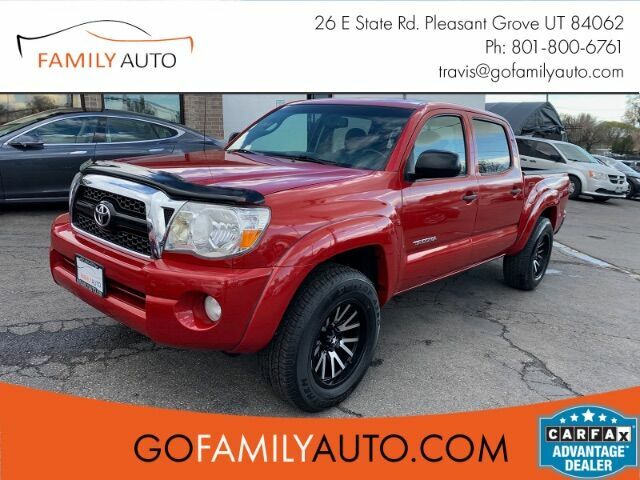 CarFax CERTIFIED Clean Title on this 2011 Toyota Tacoma TRD Off Road! This Tacoma is the perfect truck for work and play! It is loaded with tons of great features and safety equipment including; Back Up Camera, Power Windows/Locks/Mirrors, Keyless Entry, multiple airbags, and so MUCH more. www.GoFamilyAuto.com 801-800-6761. This car has passed all prepurchase inspections and is a NON-SMOKER. We are affiliated with most lenders and have rates as low as 3.99% OAC. YES!!! You get the balance of manufacturer warranties. Extended warranties are available. Family Auto strives to provide accurate vehicle information, from time to time we may miss a feature or include one erroneously. Please don''''t hesitate to confirm a specific feature.